Paula Fox. I wouldn't mind looking like this when I'm older: smart, warm, and more than a bit intimidating. A few posts back I mentioned picking up a Paula Fox book at the library, in a hurry, in one of those moments when I flip open the dust jacket, say "hmm, okay," and throw it in my bookbag, on top of 20-odd children's titles. So, speaking of nightmares, that first book was The God of Nightmares. Good stuff: New Orleans, prior to WWII, a young woman making her way among bohemians and drunks (or both) and a homosexual or two. The French Quarter feels like a small-town neighborhood, and everyone seems to know each other, and each other's business. But it's not the plot, it's the characters, the razor-sharp outlines of people and of moments. 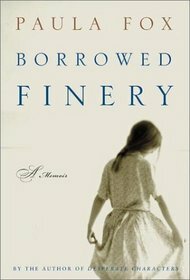 This spurred me onto Borrowed Finery, the author's memoir. Considering the helluva childhood Ms. Fox endured, this book could easily have been twice as long. Born to a young couple, unwanted, the young Paula lives first with a kindly, cultured Congregational minister for her first five years. At one point, her father shows up, deposits a box of children's books at the house, then leaves again. After the age of five, young Paula kicks around between an apartment with her Cuban maternal grandmother, a sugar plantation in Cuba, and back to New York City, before her father brings her out to Los Angeles, where he is working as a Hollywood scriptwriter (this is back in the late 30s). After only a couple of days, her mother pronounces, "either she goes, or I go." And so Paula is shipped off to a stranger's house in Redlands, a citrus town about sixty miles east of L.A. The central, terrible character in this spare, slim memoir is the mother. She is neither explained nor psychoanalysed, as a younger writer, or one from our current generation, might feel tempted to do. The reader is left to glean from between the lines that the beautiful, glamourous Elsie was simply immature and frankly envious of the few, small moments that Paula shares with her father. A bit of a spoiler here, but let's just say that Ms. Fox never reconciles with her mother. Toward the end of her mother's life, the adult Paula pays a visit to Elsie, after not seeing her for literally decades. I was floored by this telling detail: Fox's "revulsion" (her word) for Elsie remains so strong, she opts to go outside to urinate in the yard, rather than sit on the toilet seat in her mother's house. Whew. 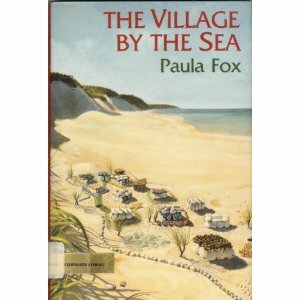 Finally, I've just finished reading The Village By the Sea, a children's book. 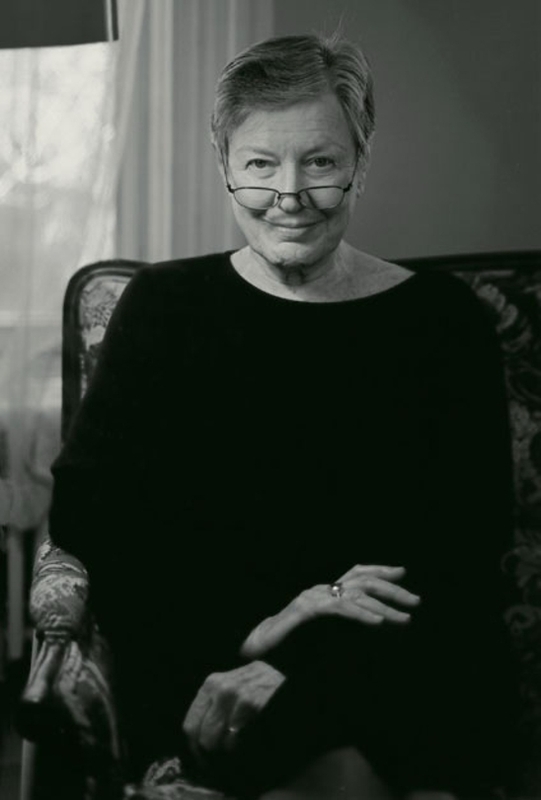 (Fox was an even more prolific author of children's books, and has won the Newbery Award.) Despite, or maybe because it is a children's book, I was more deeply affected by this than the other two. It is about a 10-year-old girl, Emma, who must go stay with distant relatives for two weeks while her father undergoes open-heart surgery. Aunt Bea, her father's older half-sister, is already well-known as a "terror" to her parents, but Emma experiences her aunt's caustic personality first-hand. The terrible dread that Emma feels living in her aunt's home by the sea, a dread that flares up at every thought of walking past her aunt, or provoking another of her bitter comments, was so vivid to me, and so reminiscent of a similar time in my own life, that at one point I had to put the book down, as my eyes were filling with tears. Of course, after reading her memoir, I can see how Fox's writing sensibilities would be uniquely tuned toward how adults can be baffling, hypocritical and downright terrifying to children. After all, despite what children may sense or know, the adults wield all the power. Now I have one of her back-in-print novels, Desperate Characters, winging its way to my doorstep, and I can't wait to read it. In a funny twist, many of Fox's older novels are now back in print after Desperate Characters was re-discovered and championed by big-time author Jonathan Franzen. And I first mentioned discovering Paula Fox at the end of my post here, when I discussed reading Franzen's novel Freedom. Not that any of it has a thing to do with me, but I still like those little moments of literary kismet. The book world is a small world, after all.